The strongest person in the world is in search of more power… or is he? Accelerator, a boy in possession of a supernatural power which basically makes him invincible, is offered a chance to grow even stronger through participation in a certain experiment. The idea is simple: he just needs to defeat a certain number of clones who get progressively difficult to defeat. Usually, Accelerator would rather do things his way than trust any of these scientists and be ordered around like a lab rat. Besides, he already considers himself the strongest in the world; who cares about some ridiculous experiment? But the potential extra boost in power is tempting and he decides to give things a try… not quite aware of the endless bloody spiral the experiment will drag him into. 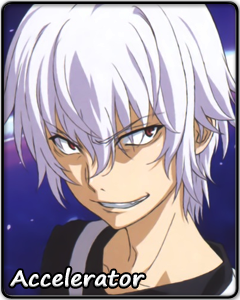 Accelerator thrives on being the best, strong enough to take on any thugs who do not know his name and crush those who look down on him. Just his name should be enough to send even common people scurrying away from him. But as he reaches closer to his goal of becoming the strongest, Accelerator shows hints of the loneness haunting him. Accelerator is resolved to shrug those feelings aside, but climbing to the top by himself might be a lot more lonesome than he thought. Still, Accelerator moves on, believing that this is the only way to achieve the strength he wanted. While it might look like there is nothing that could stop his descent into darkness, a glimmer of hope might be born from the very same experiment leading Accelerator astray. Even for the most powerful person in the world, the warmth of another’s heart might be enough to remind them where true strength comes from.